10 Year/100,000 Mile Powertrain Warranty Eligible // Local Trade-in // *No Accidents Reported to CARFAX* // *No Damage Reported to CARFAX* // *CARFAX 1-Owner Vehicle* // Bluetooth Wireless Technology // Blind spot sensor: warning // Exterior Parking Camera Rear // Four wheel independent suspension // Fully automatic headlights // Radio: AM/FM/MP3/SiriusXM Audio System // Rear Parking Sensors // Remote keyless entry // Steering wheel mounted audio controls // Wheels: 6.5J x 16 Alloy Silver // Odometer is 19980 miles below market average! 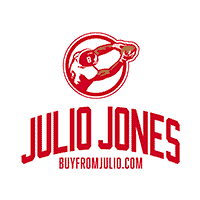 Why Buy From The World Famous Julio Jones? *Our Best Price Upfront *10 Year/100,000 Mile Warranty on All Eligible Vehicles *Fast & Friendly Staff *Buy From the Best dealership in the Southeast! Tax, Title, Tags and Dealer Fee not included in vehicle prices shown and must be paid by the purchaser. Advertised prices available with approved credit and if a New vehicle, it must be financed through the manufacturers captive lender. 10 Year/100,000 Warranty is only eligible on vehicles purchased with under 80,000 miles and less than 8 Model Years old. Julio Jones Automotive uses electronic market pricing data that is updated daily to ensure that prices are competitive and fair.